Manage visibility of specific categories and products by customer groups. Configure product price visibility on product and category pages. It often happens that you need to show several products to certain visitors of your store and hide them from other ones. How to manage Magento private sales quickly and efficiently? The answer is in this extension. Easily restrict display of products and categories for different customer groups, specify restriction actions, like redirect to 404 page, some CMS page, replace Add to cart button with Magento Call for price message etc. You may need to restrict access for some customer groups to certain products or categories for business or legal reasons. Show relevant Magento 1 customer group prices for each particular customer segment, sell more and benefit from it. Avoid legal problems. Also that is a nice way to manage wholesalers and retailers you deal with. Let’s say you have a sophisticated product which really requires a live contact with customers to be sold. To hide price in Magento and stimulate customers to contact you directly you can add to Magento the call for price block. The call for price Magento feature is also efficient when you organize presales. When a customer comes to the page restricted for him, you can redirect him to 404 page or CMS page. You can leave explanations on the issue on these pages, e.g. “These items are available only for registered customers. Please register to have full access to this catalog” or “This category is available only for wholesalers. Partner with us to get access to these items”. By telling customers that certain categories are for certain customer groups only, you motivate them to take the actions you need (i.e. to register). Since now you can inject any custom variable you need into a cms static block, e.g. you can display the store url or an address, indicate sales representative contact name or email as well as add hyperlinks to product images and categories. In addition to standart Magento Enterprise functionality that enables filtering by product category, Customer Group Catalog extension allows you to apply filters in all possible lists of products such as: search results, related products, cross-sells, up-sells, category filtering, as well as custom blocks with products lists. You can show 404 page or a special CMS page to customers who try open product or category pages restricted for their customer group. With Shipping & Payment by Customer Groups extension you can set access to payment and shipping methods by customer groups. Fulfill your business goals easily. Custom options for customer groups module allows to offer individual custom options for each group and set individual prices for each group. With Sales Reps and Dealers extension you get great chance to control your managers efficiently by assigning customers to sales reps and dealers, so they can manage only their customers and create orders for them. Can I set up customer group restrictions by category, product and pricing? Yes, you can set up customer group restrictions and create rules to restrict particular customer groups from seeing certain products, categories or prices/“Add to Cart” button. Can a custom block be shown instead of the price? Yes, you can create a Magento custom price block using default Magento functionality and put instead of the price. Can a restricted product/category be accessed via a direct link? The extension allows for hiding and showing product and category links. 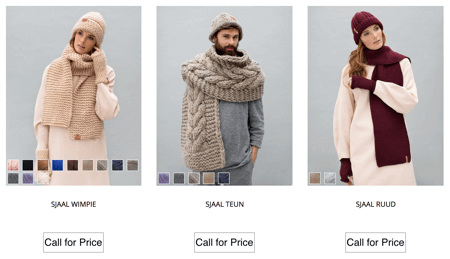 You can give direct product links while hiding products from category pages. See the screenshot to make all the settings correctly. Will the restrict category be hidden on the navigation menu/category filter? Yes, sure. The extension allows you to hide a category. You can also hide all empty categories. 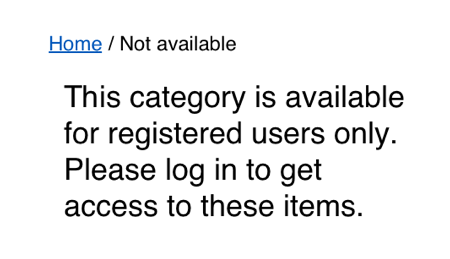 The link to the restricted category will be shown neither on the navigation menu not on category filter. Is it possible to find restricted products via site search? The extension helps you to hide products from search. Thus, restricted products are not shown in the search results. What if a product belongs to two categories and one of them is restricted? In such a scenario a product won’t be visible in both categories even if one of them is not restricted. Can this extension change the price depending on the customer group a user belongs to? No, the module does not have such functionality. However, the extension allows for creating a customer group discount, a 'call for price' block instead of showing the price, as well as removing the 'Add to Cart' button. This module is a real catch for vendors like me. We run our store for both wholesale and retail customers, so the option to regulate prices for different customer groups was like a breath of fresh air. Apart from that the ability to hide price appeared to be very useful as well. The support team did their best and assisted in the module configuration. We are happy with the purchase! The module is ok, but the support is even better! They never hide their heads in the sand and are ready to acknowledge their slips and immediately eliminate them, unlike many other developers who seem to forget about you once you paid for their extension. So, they are very serious guys whom you can trust. I was really surprised when the app stared working right out of the box. It ideally suited my custom theme and ran flawlessly without any issues. But when I updated Magento version up to 1.9.1 and changed my current theme, the app refused working properly. Fortunately, the support appeared to be very helpful and fixed everything within a couple of hours. Anyway, you never know whether the app will work for this or that custom theme on not - it's like a lottery game. That's why I give this app only 4 stars. Does what is says and more!!! Handy tool for reasonable price! Easy to use, very helpful tool. This is the first time when I've managed to do all the settings by myself without contact support. The plugin is really good and definitely worth the money I paid for it. I investigated different module for such functionality. In Amasty I like that I can both manage products and categories as well as do different manipulations with the price. My store is contacting both with retailers and wholesalers - we devide the catalog to suit the needs of both customer groups. OMG! We sell more with this extension! Some time ago we had a problem. Customers came to a product page, spent much time on the page but didn't perform a purchase. We also have a physical store and sales managers, so we decided to make the customer call us. How? - was the next question. We removed price from the page and tested different Call-to-Actions instead of it. And one of our attempts was successfull!!! Thanks to this extension that we could bring marketing dreams into technical reality. Had an issue with category being visible after that was disabled with this module. All the other blockings worked fine. Amasty fixed the compatability issue that was causing the issue on my custom theme. GREAT support and a brilliant module for those that need this functionality.